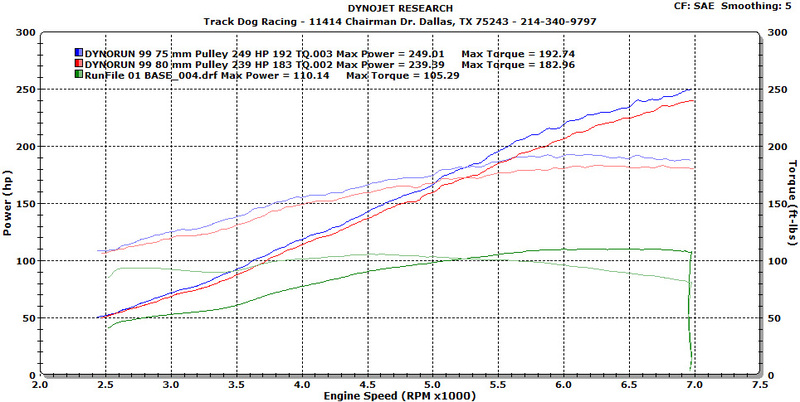 Ready for over 240 RWHP out of your stock 99-05 1.8? Fast and reliable HP in a Miata. Kit includes the ROTREX Supercharger, intercooler, all required mounting hardware and detailed installation instructions. Custom setups available upon request. Kits typically ship in 3-5 business days. Track Dog Racing's premium complete clutch and flywheel kit. We combine the SPEC Stage 2+ clutch, lightweight aluminum flywheel, stainless steel clutch line, throw out and pilot bearings and alignment tool. 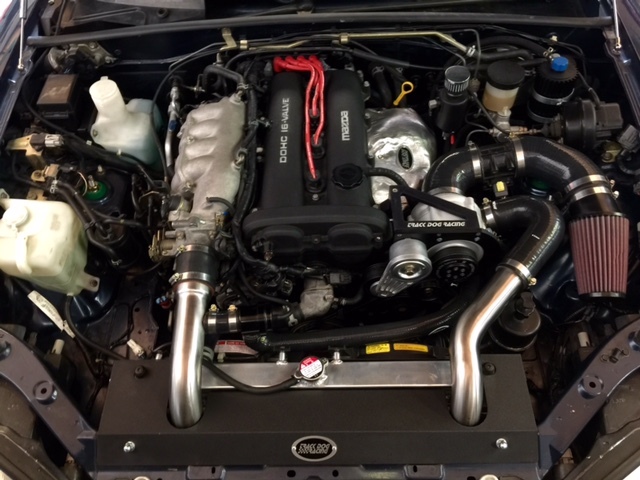 Manufactured entirely from 304-stainless steel for superior durability, this 4:1 header for the 99-00 Miata will offer many years of performance driving and provide noticeable power gains with improved mid-range and top end performance gains. Manufactured entirely from 304-stainless steel for superior durability, this 4:1 header for the 01-05 Miata will offer many years of performance driving and provide noticeable power gains with improved mid-range and top end performance gains.